The Introduction to Computing DSST tests the taker on the same knowledge they would learn in an Intro to Computing college course. Test takers are expected to be able to identify the working parts of computers, and show a familiarity with the more common applications used today. There are three exams dealing with computers. Those are - The Information Systems and Computer Applications CLEP, the Management Information Systems DSST, and the Introduction to Computing DSST. There is quite a bit of study overlap for all three of these, so taking them closely together is something you should think about doing. Check to see if your school will allow all three to count for separate electives. Most do, and it's an easy way to pick up nine credits (3 exams at 3 credits each). None of the three are terribly difficult, and the Introduction to Computing DSST is probably the easiest of the bunch. If you are reading this study guide on your home computer then you're well on your way to a successful pass. There may be subjects listed below that you've never seen before. The exam doesn't go into great detail, so don't stress out over those. Dedicate some time to the study, just because what you learn here will also help you on the other two computing exams. I'm going to list some specific topics that you'll need to study. I would also grab a copy of Snazzlefrag's outstanding Introduction to Computing study notes. After that, I'll list some resources that covers the main areas listed above. This is not a comprehensive list of topics! First things first - Read this entire site on Introduction to Computing. The local college exam proctor actually showed me this site. She was going to take a graduate level computer course with no prior computer experience. She credits this site to helping her pass the class. It touches on almost everything you'll need for this exam, so read it all. It's quick and easy, just keep hitting "Next" to go through the entire thing. Take the quizzes to test yourself! Processors - Read the entire lesson on processors. 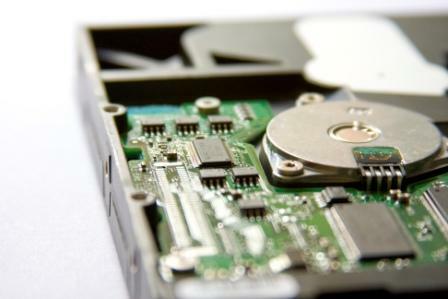 Storage Devices - Again, read the entire lesson. Data Entry Devices - Pretty intuitive, but use the lesson to brush up. Mainframes - It's an in depth explanation, but I like this one even more because it lists all the different types. Storage Units of Measurement - Just know the basics from smallest to largest. Processor Units of Measurement - You can disregard the submultiples, but I'd look over the Multiples section. You don't need to know them all, but be able to identify that kilo is less than mega, which is less than giga, etc..
Network Devices - A decent write up on this section. Make sure you hit "Next" at the bottom and read up on the software side as well. WAN and LAN's - If the above two links are a bit too deep, try this one on for size. File Transfer Protocol - A basic understanding will suffice. You don't have to memorize the port number, but it wouldn't hurt. Web Search Engine - Read this entire page. Electronic Data Interchange - Know what it is, and recognize the abbreviation "EDI". History of the Computer - Love the page name - Triumph of the Nerds! Click on each of the milestones and read the page for each. You'll probably get asked about a few of them, such as the abacus. Another Timeline - The above is a good list, but this one goes into more detail with the named mainframes and miniframes of the past. Give all of them a quick read through, but know ENIAC, UNIVAC, and APPLE. Microsoft should need no introduction. Security Policy - Read the introduction, but then look on the left side of the screen. Read 9 through 18. Careers in Information Processing - This is the kind of academic wording that makes my brain hurt. "Careers in Information Processing". Sounds.... fun? Makes it sound like I feed punch cards all day. Operating Systems and Utility Programs - Read this entire lesson if you haven't already. (which you really should have). This covers this portion of the exam extremely well. Databases - Just go through this entire page and then click on the Database Tutorial at the very bottom. You'll probably want to look at all four projects in that link. You don't have to actually "do" the projects, but at least read the steps. Just understand how they work and some of the common terms. That's about as far as the Introduction to Computing DSST is going to go. Intro to Programming - Just in case you ignored my earlier advice to read the entire lesson. Software Development Methods - Something we've touched on before, but understand the steps and the different methodologies. More on Programming Languages - Keep it brief, but understand what each language is primarily used for. Reading Programming Code - Without trying to kill you with a full blown programming tutorial, check this beginner's C++ tutorial out. It explains what each line of the "Hello World" program does. You may want to read a few pages further as well, just to understanding the Constants and Operators. Neither are difficult concepts to grasp if you've never heard of them. Software Packages - Don't freak out over this one. Just know what it is. Always check your library first! You may be able to find some of these for free, even our Quick Prep Sheets. You don't have to buy the officially recommended resources all the time. If you're the type of person that prefers to study from a textbook source however, then please see below. Introduction to Computing DSST Quick Prep Package - Our own study package for the Intro to Computing DSST exam. Need those credits fast and don't have time to do all the research? We've done the work for you right here. Get our Quick Prep Sheet for this exam, two additional full-length practice tests, and even a mp3 file to study from. It's quick, it's cheap, and it's guaranteed to help you pass. New Perspectives on Computer Concepts, 10th Edition, Comprehensive (New Perspectives Series) - The DSST recommended textbook, that will take your breath away on price. Even the used copies are going for quite a bit of money. For those who are more pressed for time then ready cash. InstantCert Academy Introduction to Computing Specific Exam Feedback - Tons of good information on the exam here. Be sure to check out the Introduction to Computing Flashcards as well as the Management Information Systems Flashcards as well. Know them both and you'll cover much of the information on the Introduction to Computing DSST. Hopefully you've seen that the Introduction to Computing DSST is nothing to get worried about. Even if you are a relative newcomer to computers, the material isn't that tough to grasp. Spend some time with the above resources and you'll be fine. If you're in a rush or want to really ensure a pass, grab our Quick Prep Package and cover all the bases. Whatever you choose to do, you can do this! Remember to at least consider taking the MIS DSST and the Information Systems CLEP after you finish with this exam. You've already studied much of the material, so you may as well take all the exams that it covers!